This offer has expired. Click here for the top current credit card sign up bonuses. I received an interesting credit card offer via email yesterday and wanted to share it with readers before it expired on December 23rd. Delta Airlines is currently offering 45,000 bonus SkyMiles for signing up for the Delta Gold American Express card. To get the bonus, you must spend $3,000 in the first three months of card membership. The card comes with a $95 annual fee that is waived for the first year. The link to both the personal and business versions of the card can be found here. Is this the best Delta Gold credit card offer you have ever seen? Not by a long shot, though it’s certainly better than the standard offer of 30,000 SkyMiles that is always floating around. Where does this current 45k offer stack up on the Best Current Credit Card Offers? 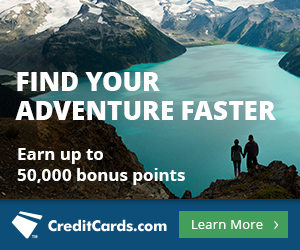 Delta’s 45k bonus doesn’t even place on the Best Current Credit Card Offer list! Using the Mile Value Leaderboard, 45k Skymiles are worth only $549. Delta miles are worth less than any other type of mile we’ve valued at only 1.22 cents each. Why even mention this offer to readers? Several reasons, actually. First is that this seemingly large offer from Delta should act as a cautionary tale. On the surface, 45k is a huge amount of miles for one credit card. 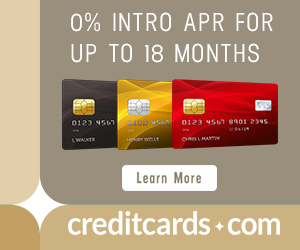 When we dive into the numbers though, it’s clear that this credit card isn’t one you should speculatively sign up for. We have seen larger offers in the past for this specific card, so it’s best to be patient and strike when a truly great offer is announced, such as the old 70k sign up bonus. I don’t want to categorically dismiss the card nor its bonus, though. For travelers on Delta who can’t fly enough to qualify for elite status, it actually makes some sense. Having the card means the cardholder and up to eight others on the same reservation can get one checked bag for free. The card also comes with Zone 1 priority boarding on all Delta flights. I avoid checking a bag on flights at all costs, so that benefit holds little value to me. Zone 1 boarding is nice, as you can secure precious overhead bin space and avoid unexpectedly having to gate check your carryon. What are some good redemptions for SkyMiles? Scott has written several great and informative posts on SkyMiles, including his recent Master Thread: Free Oneways on Delta Awards. That article speaks more about routing rules and ways to exploit permitted stopovers and open jaws on the same award. If you are looking for specific great uses for your SkyMiles, look no further than two notoriously difficult and in-demand award booking requests: Australia and Tahiti. Scott covered using Delta Skymiles to get to Australia in his post, Delta Still Not Charging Surcharges on Virgin Australia Awards and Space to Australia over Christmas. For 150k Skymiles, you can get a great business class award to Australia from the continental US. The good news? Award space has been generally reported as excellent, even during peak travel times like Christmas and New Year’s. Fuel surcharges on Virgin Australia, once near $1,000 per seat, are no longer being charged by Delta. I wanted to test out a Virgin Australia booking myself, so I logged on to Delta’s website and plugged in Los Angeles <-> Sydney as my desired route. Delta’s award search is a buggy mess (more on that in a second), so it’s important to search leg by leg when constructing an itinerary. I live in Baltimore, so my booking strategy is to secure the toughest leg first and figure out how to get from Baltimore to LA later. Delta has three levels of miles prices to Australia–low, medium, and high. The roundtrip business class price is 150k/240k/370k for low/medium/high redemptions. But if you see Virgin Australia space, it will always price at the low-level price like all partner award space. The award chart above looks very favorable. Green indicates there is low level award space on Delta. Unfortunately, Delta’s availability and Virgin Australia’s are treated separately. That is, a day displaying only high (the most expensive) type of awards might still have 150k business class availability on Virgin Australia. To test this theory out, I clicked on October 7th which was a “high” day. There shouldn’t be any available awards for 150k Skymiles. I was in luck! Above are two great itineraries available for the minimum amount of miles. Both are operated by Virgin Australia which is exactly what we wanted. The day was initially listed as having only high availability on the award calendar. The reason for that is below. Because there are no low-level awards on Delta directly, the entire day is displayed as being high. That means you will have to search for Virgin Australia space on delta.com one day at a time regardless of how availability is displayed on the award calendar. What about getting to Tahiti with SkyMiles? Scott’s comprehensive post, Getting to Tahiti with Delta Miles, answers all of your questions on using SkyMiles to book award tickets to French Polynesia. Searching for availability on partners like Air France and Air Tahiti Nui is easiest with Expert Flyer, and Scott details how to search using that site. Business class tickets are more difficult to find and Delta imposes fuel surcharges on Air Tahiti Nui, but with some advance planning, you can find seats on those two partner carriers. My vacation aspirations are a little more grounded than Australia and Tahiti. Do you know of any good domestic redemptions? I will speak from recent personal experience on this one. Delta’s online award search can be difficult to search and availability at the low level is very sparse. With that being said, I booked a great award ticket last month, and it wasn’t even at the low level. I needed to fly a friend down to Sarasota in March, and I was able to secure a domestic award ticket for 40,000 SkyMiles. Before I’m tarred and feathered by the frequent flyer community, know that my dates weren’t flexible nor were my times. Delta offered the only itineraries that would work. Also, paying for the ticket with cash wasn’t a palatable option. Flights were over $650! After plugging in my numbers to the Mile Value Calculator ($652/$10/40,000/2,152) I received 1.52 cents in value for this redemption. That’s quite a bit more than the 1.22 cents we value SkyMiles. I didn’t artificially inflate the value of this redemption, either. I would have paid the $600+ for this ticket if I didn’t have SkyMiles. It was an urgent redemption and I got a decent return on the miles I spent. Sometimes “exclusive” credit card sign up bonuses aren’t all they appear to be. In the case of Delta’s 45k SkyMiles card, we crunched the numbers and showed you that it isn’t as enticing as it seems. If you have goals of getting to Australia or Tahiti, two notoriously difficult and in-demand awards, then accumulating SkyMiles does make sense. Virgin Australia availability using SkyMiles is excellent, though can be difficult to search for. Though Delta also gets a bad wrap for its domestic award availability, I wanted to show a real life example of the numbers making sense in some cases, even when there are no low level awards. If you are a Delta flyer, you should have the CC. From my experience in booking award tickets, having the CC opens up availability to more award space. So a person gets this credit card and the value is good for one round-trip from Baltimore to Sarasota. That’s the problem with Delta. Good analysis and I completely agree with putting the offer pretty low on the list of possibilities. Anyone else getting an “Our systems are not responding” error message at the end of the application, or if you click on Yes when it asks if you are an existing cardmember? I even called and the rep said 1) they’ve been having issues with the website “for a few weeks”, and 2) she couldn’t process the 45k application over the phone because it is an “online offer”, only the 30k. Guess I’ll just try back later. Does anyone have experience trying to get AmEx to match offers? For instance, if I got the 30k Delta Gold card in the last month or two, would AmEx honor this promotion such that I get 45k? I had success with Chase on this. I signed up for Ink Bold with $10k MSR, but they honored the subsequent $5k MSR that was offered a month after I applied for the card. I applied for the Amex Delta Business Card a day before I read your 45,000 promo; I applied under the 30,000 promo; how should I handle this with Amex when I receive the card? I’ve had success in the past sending a secure message to AMEX online. Make sure you explain the situation, (politely) ask to be matched to this offer, and reference the promo code (970636). Persistence pays off, and if you don’t like the answer you get via secure message, you can always try to call in. Is there an expiration date on the air miles or can you bank them until needed. Under the SkyMiles Mileage Expiration policy, miles do not expire. I am planning a trip to Costa Rica. Will I receive half price on a round trip ticket with the 30k Delta Gold card? Can you send me a link to the promotion you’re talking about.